Many cultures that consume wine daily, particularly in the Mediterranean region of the world, enjoy a longer, healthier life span. Alcohol thins the blood, making it less sticky; red wine in particular also contains a phyto-chemical called resveratrol, which has been shown beneficial in animal studies. However, as is typical in our Western world, when we learn of a health benefit to a pleasurable food or drink, we tend to take it as license to over-consume. And alcohol, consumed in excess, raises the risk of chronic disease, including cancer. Researchers in this study followed adults over the age of 65 for nine years and compared levels of resveratrol in their urine to inflammatory bio-markers and disease risk. They found no association between higher resveratrol levels and health. However, this does not definitively rule out potential health benefits of moderate wine consumption. These seniors all enjoy a similar Mediterranean lifestyle, which may render the added benefit of resveratrol null, as may the impact of a higher alcohol intake, which may accompany resveratrol levels. In addition, this study does not look at the benefit of beginning red wine consumption earlier in life versus those who don’t consume the beverage. So much remains up for debate. If you don’t drink, there is no reason to start. If you enjoy red wine, it is important to understand the line between beneficial consumption and potentially harmful consumption. The first is moderation, which is no more than one drink a day for women and two a day for men. 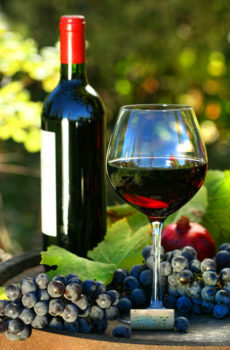 Secondly, resveratrol content of many commercial wines is typically low. Look for wines with more tannins for higher flavonol content. And you can always enjoy the benefits of flavonols by eating more berries and high cocoa chocolate daily.